The information you are viewing for this event is from Sunday, Dec 9, 2018. 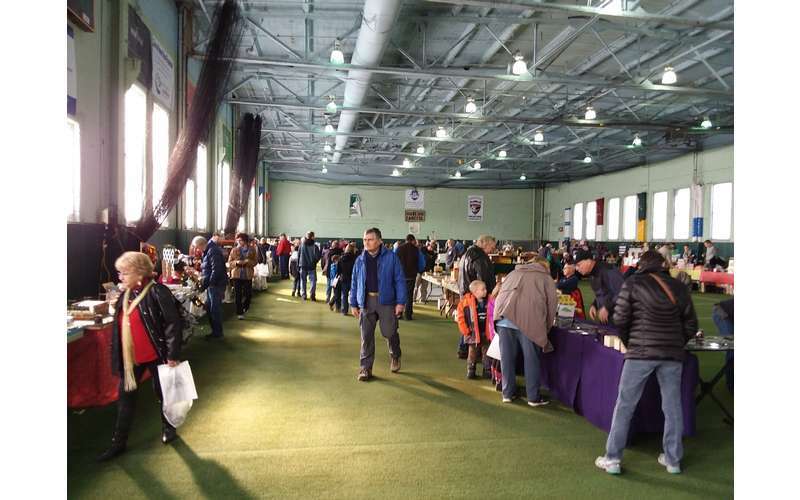 Sunday, December 9th from 10 am – 4 pm The Upstate Model Railroaders will be holding their Annual Train, Hobby and Crafts Expo at the Chase Sports Expo in the Epic Ventures building located at 22 Hudson Falls Rd., South Glens Falls, NY. Model railroading, hobby, and handmade craft vendors will fill the 25,000 sq.ft. complex for a family oriented shopping experience. There will be a silent auction, a food booth run by area Girl Scouts, bounce houses, RC cars and planes and working model railroad layouts. The Upstate Model Railroaders club rooms will also be open for visitors. Admission is $5 for adults, children 12 and under free. Don't miss this chance to finish your Christmas list. For more information, feel free to contact us at our Upstate Model Railroaders website. All proceeds go to benefit the non-profit Upstate Model Railroaders club.